Today, we are profiling one of our members: The Association for Energy Affordability (AEA). AEA is dedicated to achieving energy efficiency in new and existing buildings, helping to foster affordable and healthy housing and communities. How does the mission of AEA support the mission of EEFA NY? The missions of AEA and EEFA NY completely align, since both focus on advancing energy efficiency in affordable multifamily buildings. AEA’s expert, multifaceted perspective is informed by its extensive experience as a technical service provider, Weatherization program manager, workforce trainer, and utility program implementer. For existing buildings, AEA provides a variety of consulting and building assessments, as well as modeling and benchmarking energy and water use, developing work scopes and specifications for energy conservation measures, construction oversight, quality control inspections, contractor technical support, and commissioning of newly installed systems. For new construction, AEA consults with designers to specify and design building systems that can deliver anticipated energy savings. We work with contractors to teach them advanced construction methods, providing oversight and testing along the way to ensure performance of installed energy conservation measures. AEA’s network of community-based nonprofits provides weatherization services in downstate New York. Our certification training helps professionals, contractors and building operators meet the highest standards for deep energy savings. We also engage in public policy forums to advance efficiency and to ensure that the needs of low-income households and multifamily buildings are considered. In addition to our deep technical knowledge, our work is informed by daily interactions with property managers and building owners (especially those in the regulated and supportive housing sector), community organizations, building residents and government and utility staff. AEA is working to ensure the accessibility of affordable housing and energy. How will increasing access to energy efficiency improvements help increase the prevalence of affordable housing? Energy costs are a significant factor in overall operation and maintenance of multifamily buildings. Efficiency does pay for itself over time in bill savings, but many affordable multifamily building owners cannot afford the upfront costs of big-ticket items without incentives, financing, or both. And it’s imperative that the cost of energy efficiency upgrades not lead owners to raise rents, exacerbating the housing affordability crisis. Rent increases may result in displacement and homelessness for low-income families. And when vacancies occur, another round of rent increases may ensue, making the apartment less affordable for the next tenant. Deferring needed upgrades can adversely affect the health, safety and comfort of building residents. Thus, energy efficiency is key to lowering operation and maintenance costs, making housing healthy and comfortable, AND keeping it affordable. Utility and state programs to help cover the cost of upgrades are extremely helpful – even essential – to advance these goals. In AEA’s view, what are some of the most important economic incentives for increasing the accessibility of affordable multifamily housing and energy efficiency? Tax credits are essential to many providers of affordable housing. The ability for credit allocations to impact efficiency varies by state. New York State does not currently require efficiency measures in upgrades to existing regulated housing, although its new construction programs have added “points” in scoring and supporting green new construction applications. 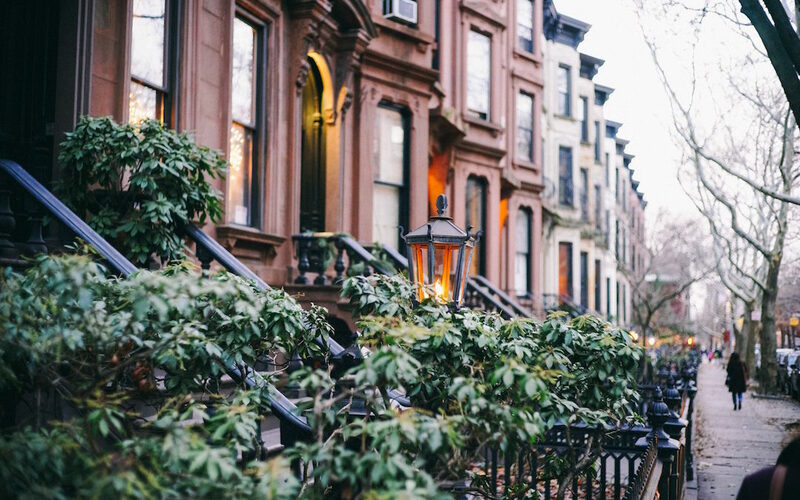 Recently New York has begun to use an “Integrated Physical Needs Assessment” to ensure energy upgrades are considered during rehabs and refinancing. Increasing energy efficiency in affordable housing requires a variety of approaches. These include robust funding of the federal Weatherization Assistance Program and continuation of successful programs run by NYSERDA and utilities. More recently, New York is also pursuing some newer approaches to support ongoing market transformation that will enable less reliance over time on incentives and where the utilities will treat efficiency as the supply resource it is and include it as part of their business model. We also are participating in efforts to include funding efficiency in affordable housing financing. What challenges do you face specifically in New York? What is unique about the city versus rural areas in terms of demand for energy and need of energy efficiency? We have a number of challenges in New York, some of which I’m sure we share with other states. There’s never enough money for incentives and we struggle to convince all parties – the state, the utilities and the building owners and residents – that we should invest more! The upstate/downstate divide is somewhat unique, given the large percentage of the population living in New York City and on Long Island. 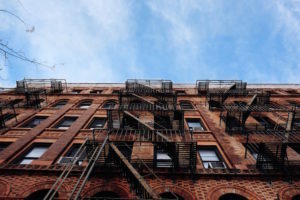 In New York City, multifamily buildings are the norm, but while there are many, many large multifamily buildings, the outer boroughs also have large numbers of smaller buildings, including 2-4 family buildings. Most residential buildings in NYC have access to natural gas but many of these are also dual fuel systems and so are not currently eligible for utility energy efficiency incentives that target only “firm” gas customers. Small homes and many smaller multifamily buildings, particularly in rural areas upstate, are more likely to rely on delivered fuel (oil or propane) for hot water and heat. These fuels have higher emissions and are more expensive than natural gas – and they, too, have not had access to appropriate incentive programs. This is partly why we are now seeing the push for electrification and heat pumps. What misconceptions might people have about AEA’s work? One important misconception is that helping low-income households means only helping them with their direct bills. Many residents do not pay their own utility bills, but the costs of those utilities are included in their rent, as is commonly done with heating and hot water charges in the New York City area. Energy and housing affordability must be addressed in combination. Therefore, it is essential to help building owners with both common area and in-unit efficiency measures. Another misconception is that energy efficiency will be done simply because of the return on investment provided by reduced utility bills and reduced operation and maintenance expenses. Unfortunately, we know that lack of upfront capital and an aversion to or inability to take on debt – as well as the split incentive between owners and tenants – results in lower than expected investment in efficiency. When you talk to everyday people who are affected by energy efficiency & affordability issues, why do they care about energy efficiency? That depends on what you mean by “everyday people.” Most people with comfortable incomes spend very little time considering their utility bill. That doesn’t mean they aren’t concerned with the cost because, of course, they are, but they may not spend much time considering what they can do simply to lower costs. However, they may have a drafty house or problems with ice dams on their roofs in the winter or they want to reduce their carbon footprint. Efficiency for them may be of interest for these “non-energy” benefits, in addition to the reduced bills. These benefits, especially health and safety (due to drafty buildings, indoor air quality, or mold and mildew problems) are an important reason to make buildings more energy efficient for lower income households and multifamily building managers, but bill savings becomes more of a driver in those cases. From your perspective, why is it specifically important that low-income housing (as opposed to other types of buildings or housing) is made more energy efficient? We focus on efficiency for affordable housing to help low-income households have safe, healthy, comfortable and affordable housing (including affordable utility bills, whether paid directly or not). When housing costs go up for a low-income household, something has got to give. Higher rents may lead to hunger, unmet medical needs, or overcrowded housing conditions when families must “double up.” Rent increases force many low-income households from their homes and their communities, with cascading social, educational, and health effects resulting from the dislocation of the family. From the landlord’s point of view, water and energy costs are one of the few costs of managing a residential building that the owner can actually control. Responsible owners can hold the line on rents if they are getting some relief on energy costs. Focusing on low-income housing is essential from an equity and social and environmental justice perspective, and it is essential to combatting climate change.